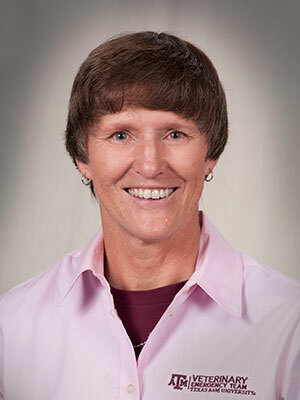 Dr. Deb Zoran is a Professor and Medical Operations Supervisor of the Texas A&amp;M Veterinary Emergency Team (VET). She is a 1984 graduate of Kansas State University, has a PhD from Texas A&amp;M University in Animal Nutrition, and is board certified in Small Animal Internal Medicine. Since 1996, Dr. Zoran has been a member of the faculty at Texas A&amp;M University where she is actively involved with clinical, teaching, and research activities in feline and canine nutrition, gastrointestinal diseases and disaster preparedness and response. She is a foundational member of the TAMU Veterinary Emergency Team and has been deployed 12 times since 2011. Participants in this interactive simulation laboratory will join the Texas A&M Veterinary Emergency Team in responding to an F4 tornado. The tornado will have unfortunately impacted urban and rural areas and resulted in injuries to companion and large animals. The instructors will help the attendees work through the process of pre-deployment activities and the considerations for what levels of participation may be best for you and your practice. Once we are prepared to respond, the issues that must be dealt with in the chaotic environment of the early phases of an emergency response while simultaneously dealing with complications introduced by victims, other emergency responders, media, and the self-deployed volunteer will be presented through using an interactive simulation experience. The simulation platform being used provides a ground­-breaking platform for allowing participants to experience the realities of an emergency response. Following the response activities, the group will participate in and learn how to properly participate and lead an AAR (after action review).